Jen grew up in the Finger Lakes Region of NY and was a three sport athlete in high school. She was named to her High School Hall of Fame recently and began swimming at the age of 6. Jen and both of her sisters were standout swimmers for their club team and high school team. Jen was a captain her Senior year at Watkins Glen High School and attended The College at Brockport, NY where she swam all four years and was a captain her Senior year. Jen broke 4 school records during her tenure at Brockport and has numerous Top 10 times for Brockport. She was named the SUNYAC Conference Athlete of the week three times and swim team MVP her senior year. Jen currently coaches at Woodrow Wilson High School, DC where she teaches Physical and Health Education and at Palisades Swim Team. 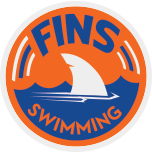 This is her 1st year with FINS and she’s excited to work with different levels of swimmers and share her love of the sport with others.